Like James Bond, Tetley Tea and Helen Mirren, Argos is a household name in England. It’s the epitome of British retail and the high street’s raison d’etre. As if Argos wasn’t popular enough after blue alien family (remember them? ), over the past few years the brand name has grown vastly with the public that they offer their customers same day delivery on items that often rival every other retailer. 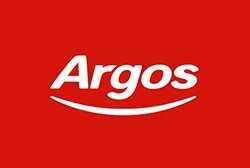 Argos is at the forefront of Black Friday sales and remains one of the most popular online shops for buyers on this day. Last year, Argos.co.uk had half a million visits between 12 am to 1 am, and 700,000 visits during the morning rush hour; 80% of those visits were on mobile. Argos offer more than 33,000 products through www.argos.co.uk, its growing mobile channels, stores, over the telephone and uniquely, through Argos TV. What to expect from Argos Black Friday? 17/11/16 UPDATE: Deals go live online tonight at midnight. Argos are expected to have deals on laptops, TVs, toys, washing machines, mobiles and more. 12/11/16 UPDATE: Argos will start their deals on Friday 18th November and will run for 13 days! We expect Argos to be pushing out amazing deals all week long, not just Black Friday itself. Expect more deals this year on Electronics, games consoles, tablets and more. What did Argos do in 2015 2015 Update – Argos are also doing the PS4 for £249.99 with Uncharted and Fifa and the XBOX One £229.99 with ORI and Rare Replay.